By Jodi RaveWhen I moved to Missoula--to work with another Lee newspaper--I knew I would be working in the belly of the beast, ground zero for prejudice in one of three states where Native people are the majority minority. The other two states include North Dakota, my home state, and South Dakota, the land of my Lakota relatives at the Cheyenne River Sioux Reservation. I know these “Indian” states well. And I knew it would be a tremendous challenge to report and live in one of them, a reality revisited with the recent arrival of an anonymous letter. I've seen them before. And in Montana, I've noted a pattern. No return address. No signature. Typewritten. And vitriolic. “I cannot stand it. ONE MORE DAY!! How many front page articles to do with Indians? Oh my God ... Do I live in a city that is Mostly white or am I living on a Reservation and don't know it? Wait a minute ... if I were on a reservation then I would get everything for FREE ... ”The "everything for free" canard is so stupid that you don't hear it much these days. But it's interesting for what it says about the connection between ignorance and hate. This person isn't someone who innocently and objectively thinks the newspaper needs more white-oriented articles. His hatred of Indian-oriented articles is based on his jealous ignorance of people he thinks are getting things "free." Rave continues:Many readers shared their views about racism, with several references to Montana, Arizona, North Dakota, South Dakota and California. I received too many comments to reprint all of them, but they can be viewed on the blog. “I lived in Montana and Arizona during my career. I thank ‘anonymous' for his tirade. Few would have believed me if I had attempted to describe the prejudice and hatred toward NDNZ (Indians) that I saw and experienced in these two states,” said Don Ade. Ray Cook described the I-don't-like-Indians writer as “the legendary tip of the iceberg.”Comment: For more on the subject, see White Journalists Are Biased and Hate Abounds in "Post-Racial" America. For more comments on Jodi Rave and the anonymous letter she received, see Are Other Montana Newspapers Doing This?
" 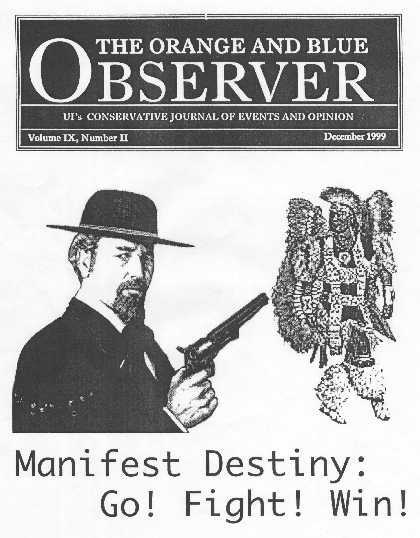 I see a definite parallel between American Indian journalists who take on the racist status quo in the U.S., and the role that the African-American press assumed from the start of the Civil War and beyond, primarily in the area of illuminating the horrendous race discrimination faced by blacks in America. In the post-Civil War South, black reporters and journalists (most often at extreme peril to their personal safety), were absolutely integral in elevating to the reading public's consciousness the brutal aftermath upon black society of the war and the Reconstruction era, most especially the phenomenon of lynching (that was largely ignored by the mainstream press). Then, during the Civil Rights Movement, black reporters provided invaluable commentary on the various milestones of that period: the desegregation by presidential decree of the U.S. armed forces, Brown v. the Topeka Board of Education, the Montgomery Bus Boycott, the Freedom Riders, the violent oppression of Civil Rights protestors by Southern law enforcement and the KKK, and the March on Washington - all very crucial events that were often downplayed in the national news. From this wide historical perspective, I am again reminded that one of the states listed in this article, South Dakota, is still described by many Indian people, myself included, as "the Mississippi of the North". I therefore salute any Indian journalist who possesses the courage and fortitude to confront the terrible blight of hatred that is still being directed towards the Indian community. " As usual, I agree with you, Melvin. As Felix Cohen said, Indians serve as the "canary in the coal mine." Reports about them often reflect what's happening in other parts of the country. Anyway, thanks for your thoughts. Feel free to stop by Newspaper Rock anytime.